Wang Mingqing and his wife had been looking for their daughter ever since she went missing in 1994. A father's relentless search to find his missing daughter paid off in the most heartening way. He finally managed to find her after continuously looking for her for 24 years. 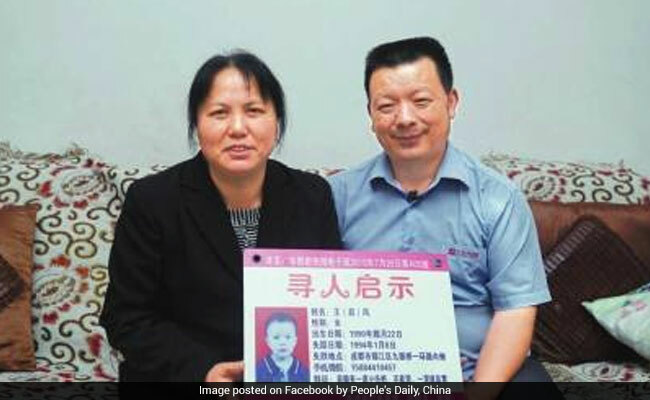 Wang Mingqing and his wife, from Chengdu, China's Sichuan Province, had been looking for their daughter ever since she went missing in 1994, reports People's Daily, China. Mr Mingqing had left his fruit stall for a few minutes when his daughter, only three years old at the time, disappeared. Mr Mingqing and his wife began a desperate search for their daughter and left no stone unturned to find her. They reached out to the police, put up posters of their daughter and even checked children's shelters and hospitals in the hopes of finding her. When their search yielded no outcome, Mr Mingqing started driving a taxi in 2015 in order to share the story about his missing daughter with as many people as he could. He managed to reach out to nearly 17,000 people asking them to spread his message across the Internet. He handed out cards with a photo and information about his missing daughter to passengers. The details were also displayed on his taxi. All the efforts finally paid off when the missing daughter, named Kang Ying according to CGTN, reached out to Mr Mingqing after viewing news reports online. On April 1, a DNA test confirmed she was in fact their long-lost daughter. The family is now looking forward to a joyful reunion with their daughter as Ms Ying is slated to fly over to Chengdu on Tuesday.